Yingli Green Energy Holding Company Limited (NYSE: YGE) ("Yingli Green Energy" or the "Company"), a leading solar energy company and one of the world's largest vertically integrated photovoltaic ("PV") manufacturers, which markets its products under the brand "Yingli Solar", the Energy research Centre of the Netherlands ("ECN"), a leading solar research center in Europe, and Amtech Systems, Inc. (NASDAQ: ASYS) ("Amtech"), a global supplier of production and automation systems and related supplies for the manufacture of solar cells through its solar division Tempress Systems B.V., today announced the achievements of a three-party research collaboration on the N-type Metal Wrap Through ("N-MWT") PV cell and module technology. This joint project was an extension of Project PANDA, which was kicked off in 2009. As of the date of this press release, a cell efficiency of 19.7% and a module efficiency of 17.6% have been achieved in the laboratory, respectively. The N-MWT PV cell technology is expected to reduce up to 40% of the metal coverage comparing to standard crystalline cells, which leads to approximately 1.5% relative cell efficiency gain. ECN has also shown that the PV modules based on N-MWT technology can be made with thin cells at high yield, which demonstrates the potential to reduce the wafer thickness and silicon consumption, leading to a large cost reduction potential. Mr. Jingfeng Xiong, Vice President of Technology of Yingli Green Energy, commented, "We are pleased to announce the new milestones of Project PANDA, which demonstrates our solid cooperation with leading technology institutes in solar industry. Together this joint project, we target to reach towards 20% cell efficiency and module efficiencies of 18% and more. The launch of N-MWT PV cell and module illustrates our mission to be a cost leader and provide the best product to customers at the same time." 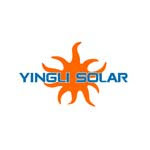 "Thanks to our continuous investment in cutting edge technologies, we can further enhance our leading position in terms of high efficiency products," Mr. Liansheng Miao, Chairman and Chief Executive Officer of Yingli Green Energy, commented. "High efficiency module is becoming much more attractive for project investors as the roof-top system segment has been enjoying a fast development speed. We are glad that we have the capability to meet customers' demand." Mr. Robert Kleiburg, Technology Director of ECN, commented, "We are very pleased to combine our MWT technology with Yingli's years of experience to commercialize cutting edge technologies. This cooperation is in line with our long-term mission: transfer high-level knowledge and technology to the market."